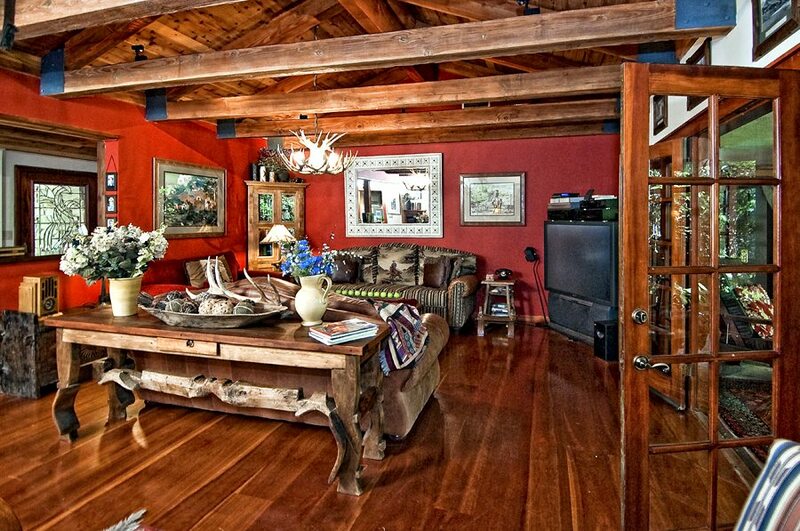 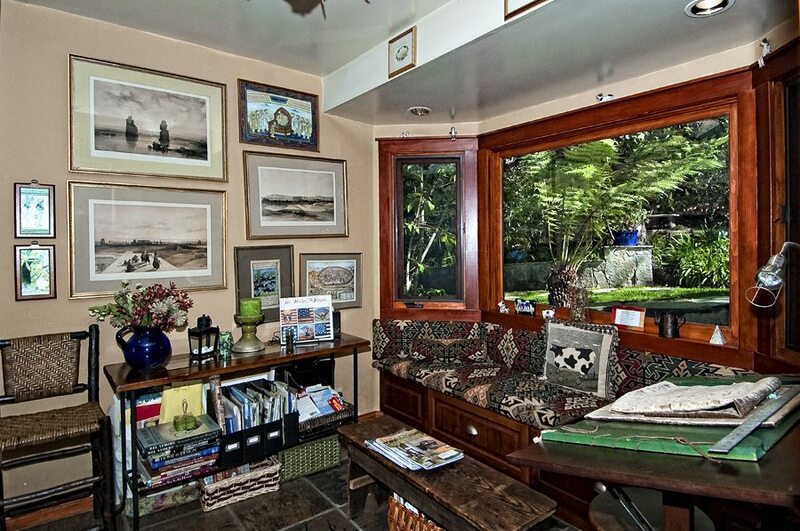 RARE opportunity to own a LARGE property in the Palisades just minutes from the Pacific Ocean. 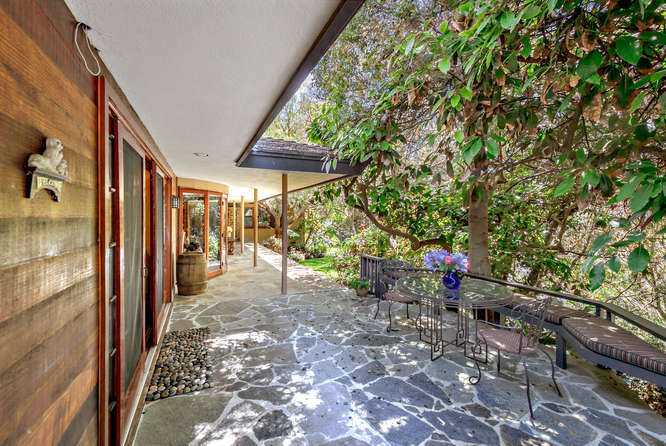 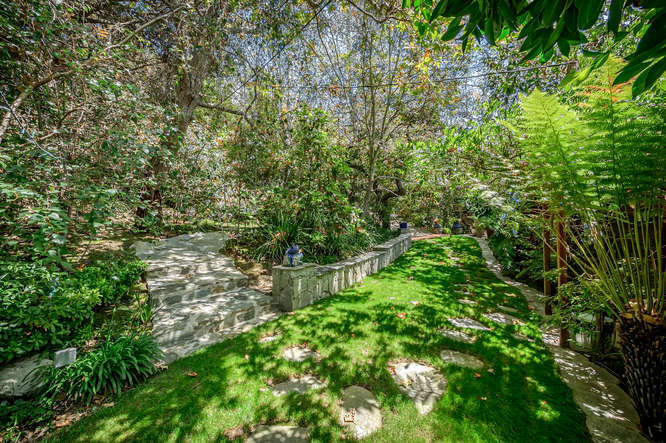 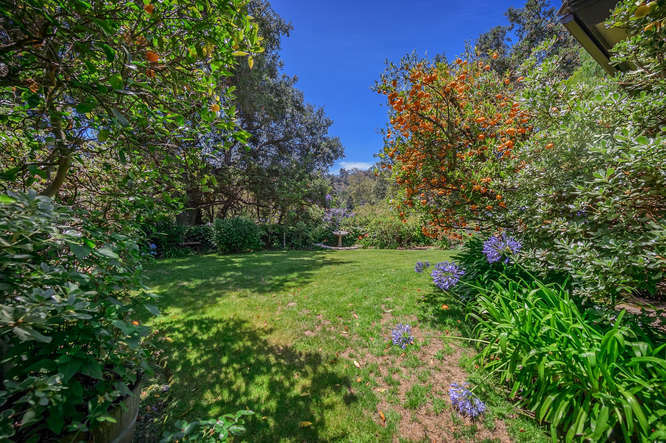 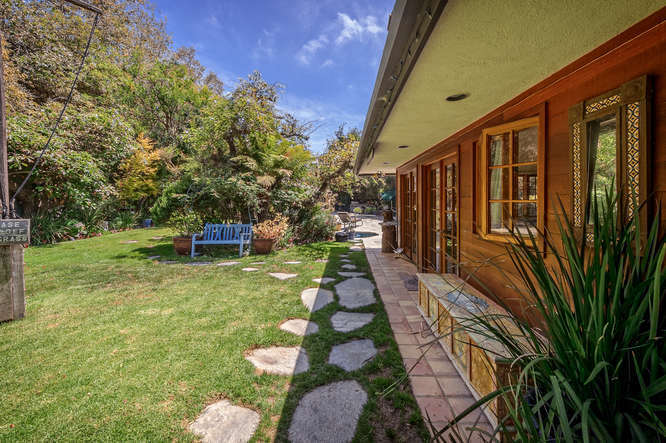 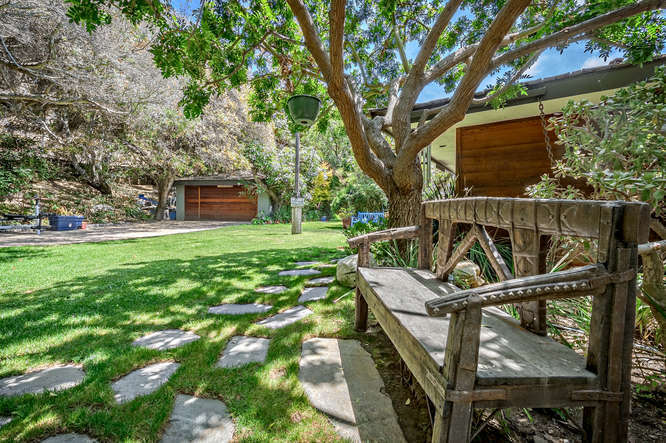 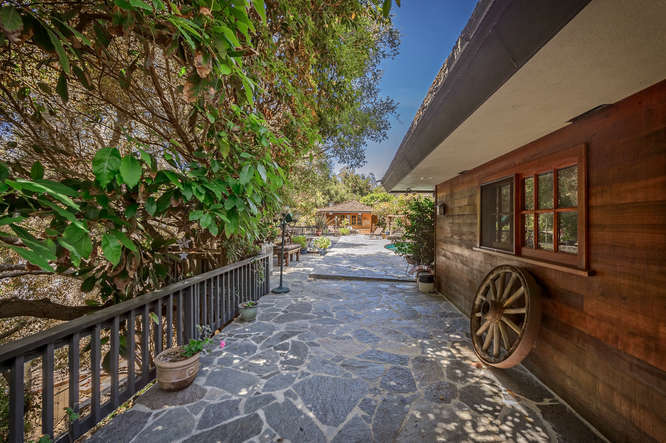 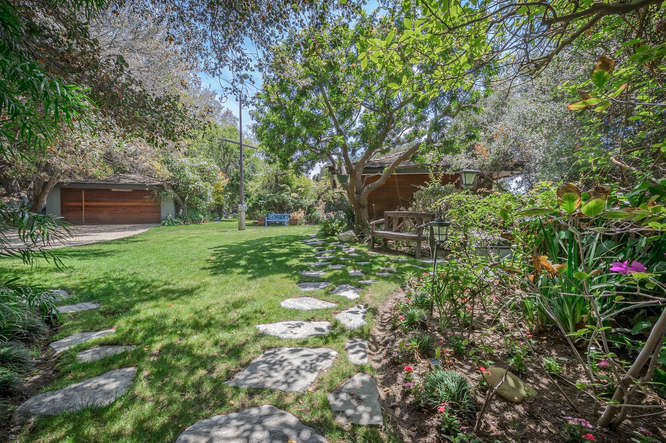 Real California indoor/outdoor living in this home set in park-like grounds with forest-lush landscaping, mature fruit trees & sprawling Sycamore/Oak trees that provide a gorgeous canopy. 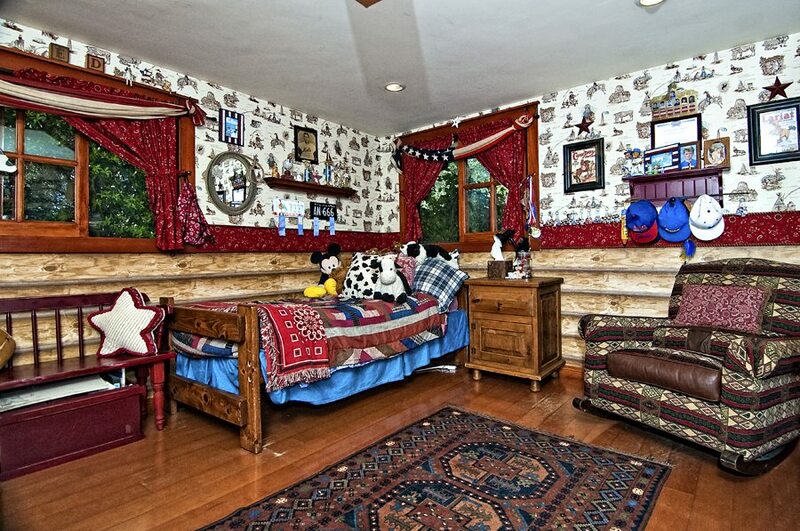 So private, you don’t need curtains. 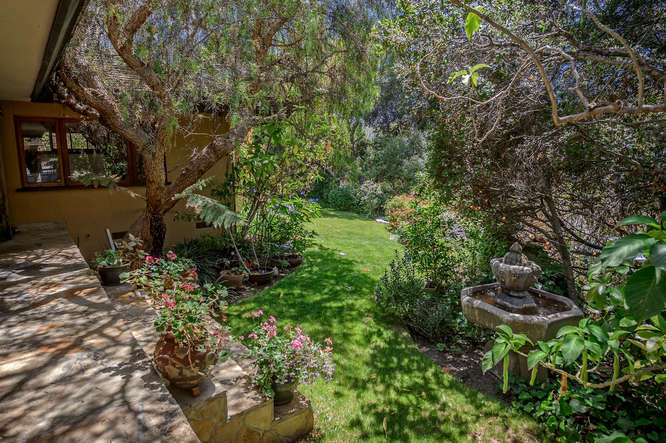 Main Home + 2 Guest Houses + several grassy lawns large enough for putting green, even a batting cage; it’s a kid’s paradise. 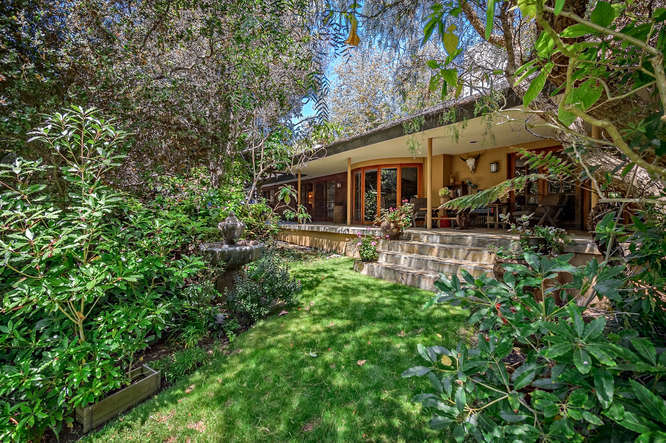 Enormous deck area adjacent to sparkling free-form pool & spa is perfect for large scale entertaining. 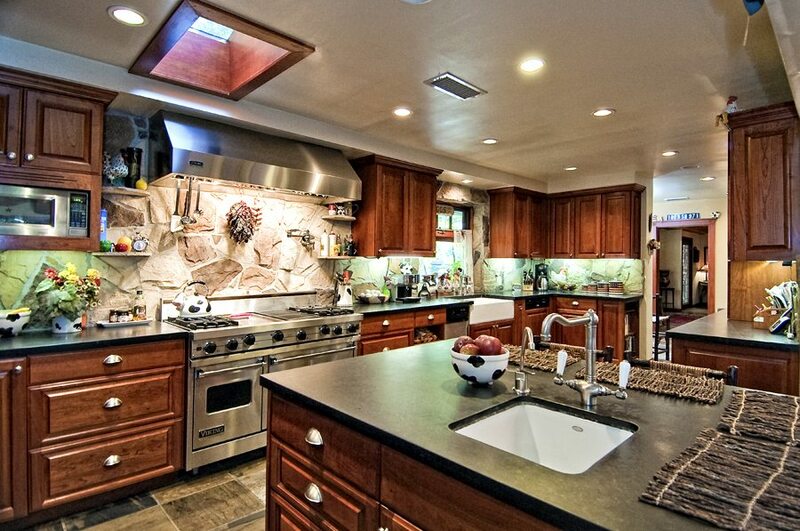 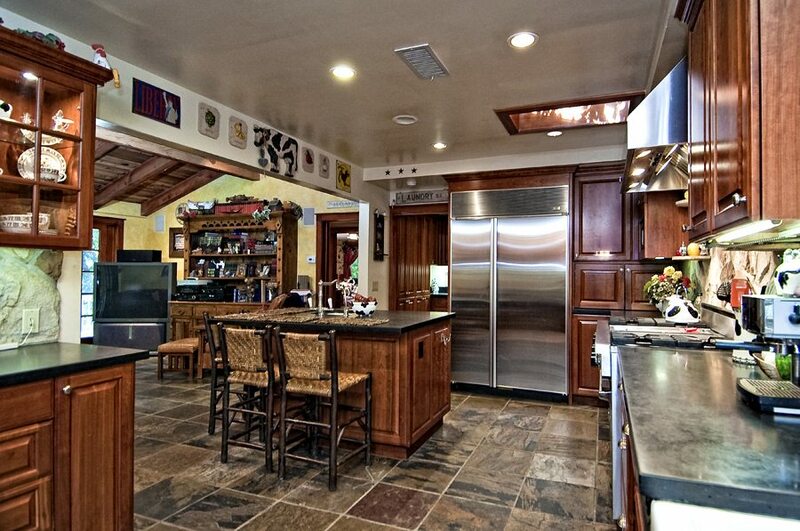 Chef’s country kitchen complete with large island, Sub-zero/Viking appliances, warming oven & more. 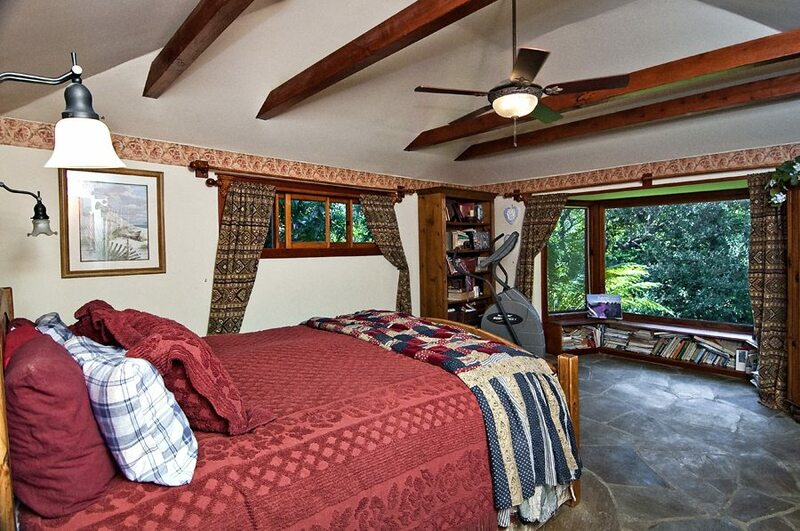 Offering wide-plank cherry hardwood floors, cherry cabinetry, raised beamed ceilings throughout. 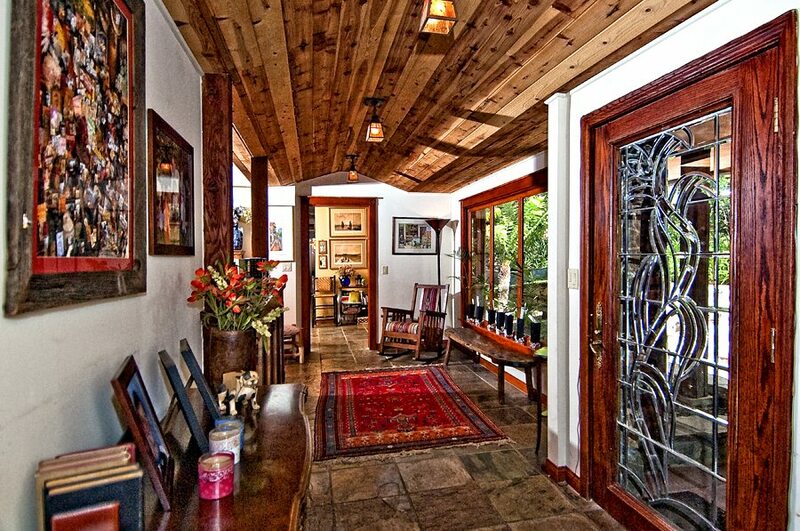 Perfect arched doors gracefully open to the picturesque grounds. 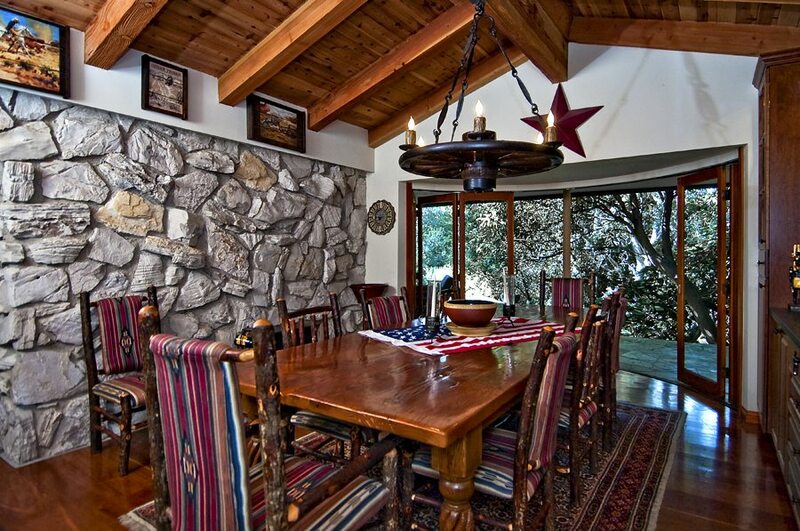 Dramatic Formal Dining Room & Living Room opens onto deck area and both have views of the expansive grounds. 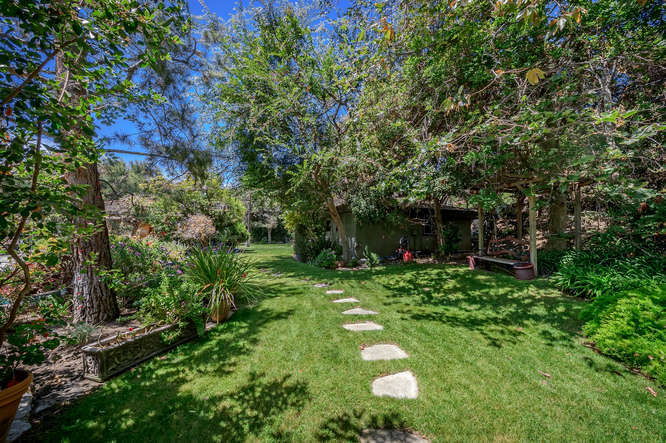 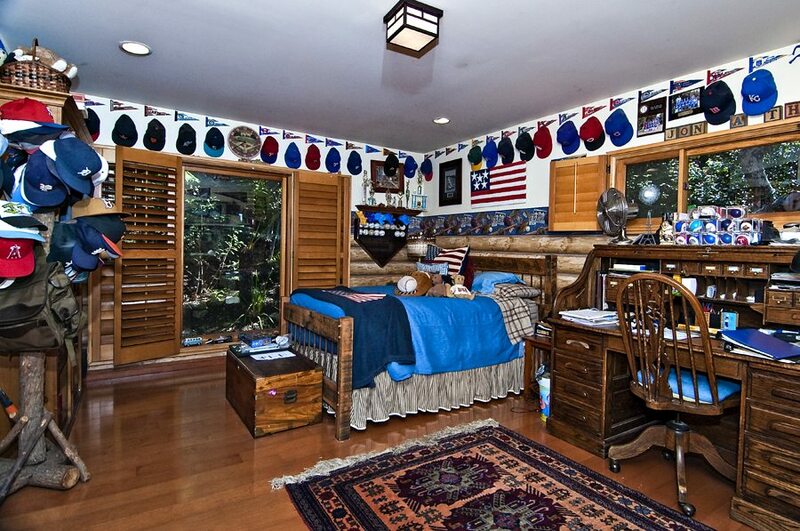 This home is surrounded by major estates in Rustic Canyon; less than 5 minute drive from Canyon Elementary School. 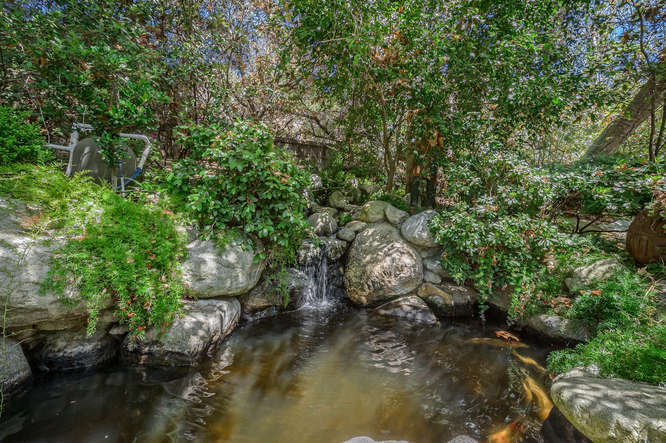 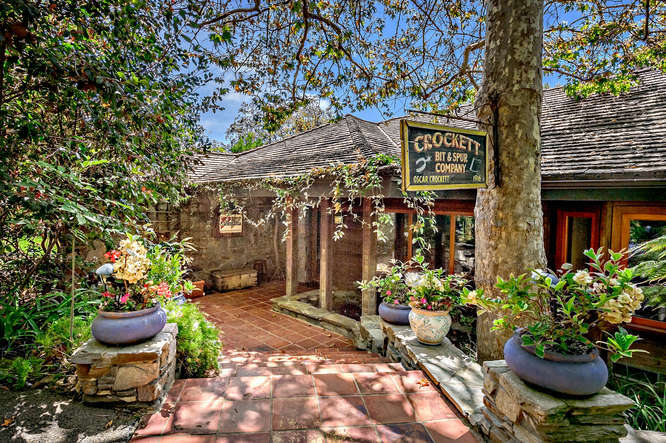 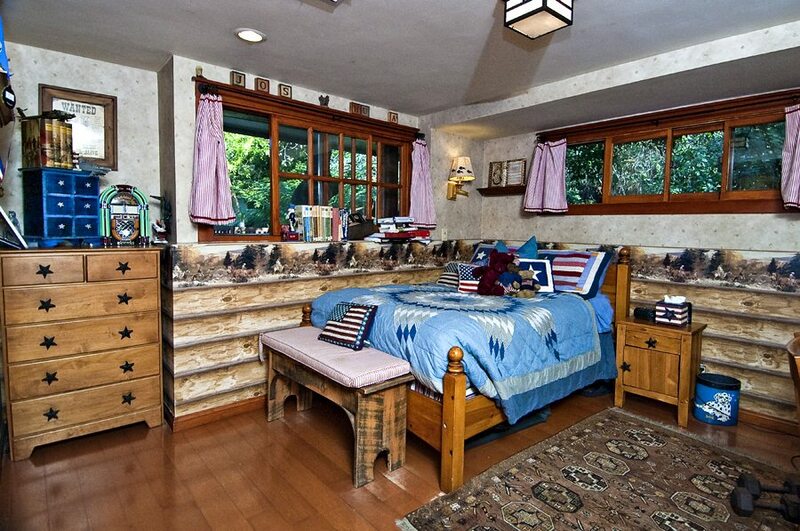 Near Will Rogers State Park & just minutes from beach & the Pacific Palisades Village.